"Love makes the world go round... whiskey makes it go round twice as fast." When a diverse drink such as whisky is combined with a unique perspective on flavour, the possibilities become endless. To help you to choose your journey with us we have compiled some of our most popular tasting packages below. These are just suggestions however and each one can be modified to fit neatly into your schedule, theme or location. Contact us for more information and to book one of the events listed below. Duration 1 - 1.5 hours. With such a huge array of flavours to be discovered in whisky we have designed this 5 dram tasting to showcase this diversity, and how like the colours on an artists palette these flavours combine to create masterpieces on your own palate. Let us take you through the light and delicate, through sweetly floral and on to rich and spicy realms before taking a detour to oily maritime and finally landing in the dark side of peat smoke. Ideal for those wanting a grand tour of whisky flavour. Join us for a journey around the varied flavours of the Scottish countryside with frequent stops at iconic locations, all without leaving the comfort of the room. Enjoying the delights from the distilleries of Speyside, The Highlands, The Lowlands, Campbeltown and of course Islay, we will find a little bit of Scottish beauty in each glass. The perfect event to learn about the variety of Scotch whisky and how it relates to the Scottish countryside, culture and history. 3 drams and 30 minutes with us is all takes to gain a basic grasp of Scotch whisky and have a whole lot of fun along the way. For those in need of a brief overview of what Scotch is then look no further, just half an hour is time well spent and integrates well with your other evening or even lunchtime adventures. A fun event with minimal fuss aimed to entertain and delight in a light hearted way. 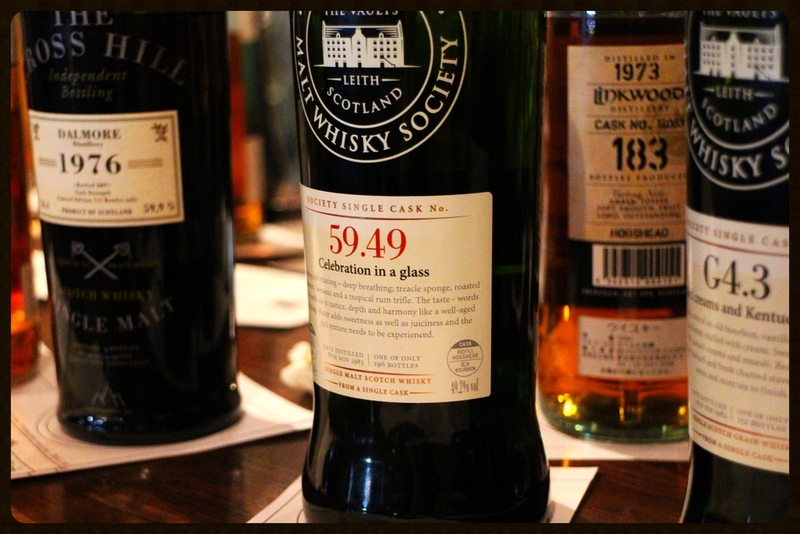 Do you feel confused about the different types of Scotch whisky? Discover the differences in both production and flavour between grain whisky, single malt whisky, blended malt whisky, single cask malt whisky and how these combine to create blended Scotch whisky. Sounds bewildering? Let us clarify these Scotch categories with fun and simplicity to help you to differentiate your single malt from your blend and amaze your friends with a new found expertise. Have you ever felt bewildered by whisky tasting notes and wondered what planet the taster was on when they wrote them? Or does all whisky simply taste of errr... whisky? Allow us to banish all tasting notes, descriptors and adjectives and immerse you in a fun event that will give you the skills to express whisky flavour without the apprehension of saying the wrong thing. Learn to describe whisky in one single sentence which will transform into poetry by the end of the event. Something we take for granted yet is fundamental to our daily lives. Flavour is a fascinating sensation that is far more complex than we would initially believe. Experience how our elaborate brains interpret the world around us to create flavour and how the mind can be tricked and manipulated to perceive things in unexpected ways. By developing an in-depth understanding of the tasting process you will broaden your flavour horizons and learn new ways to enjoy a dram or two.